Through the Sleeping Mat Project, MVFUMC is able to care for both the earth and the local community. 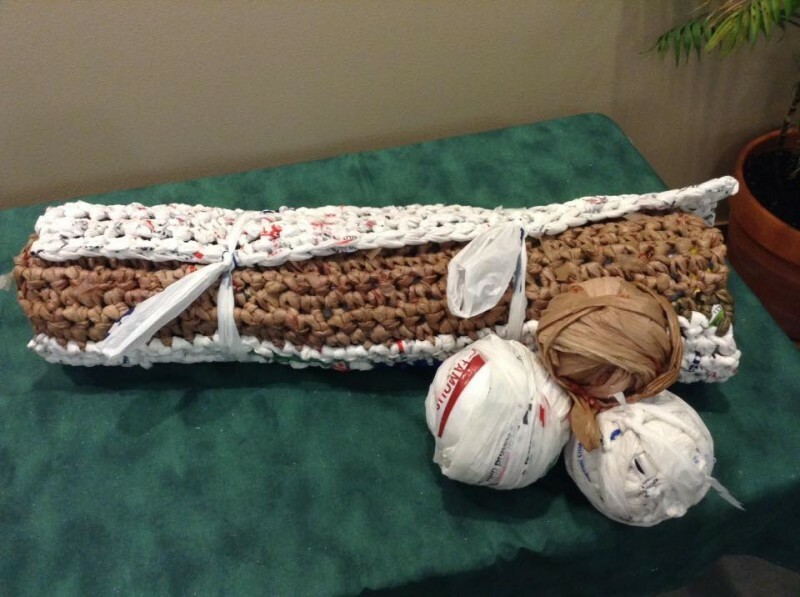 Participants in this project collect used plastic shopping bags, cut them into loops, chain the loops together, and crochet a six foot long mat for homeless individuals to sleep on. The finished product is almost an inch thick and is both portable and waterproof, helping keep the owner dry and warm at night. Though the mats are easy to make, the process is time consuming - over 600 bags have to be cut into loops for one mat, and then they have to be crocheted! If you would like to help with this project, learn more about it, or be shown how to make the mats in person, please contact the the church at 360-424-3628. 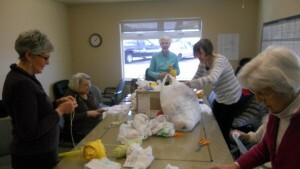 Group bag-cutting or crocheting sessions are held once or twice a month. Instructions for cutting the bags and making the mats are availible through the links below.